We’re looking for motivated individuals with an eye for detail and the desire to work hard. 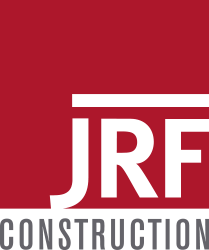 We work with many clients, so we need organized, adaptable people who are willing to do whatever is necessary to help the JRF team throughout the construction process. We are searching for self-starters who always give 100% to deliver the best customer service to our clients. Candidate must be able to schedule and coordinate the day-to-day activities of a jobsite, understand blueprints and design drawings, and communicate progress and potential issues to the other members of the construction team (both electronically and verbally). Five years previous experience is preferred with restaurant experience a bonus. Excellent benefits package is offered to all employees. This position may need to travel periodically depending on the current project load. Salary will be determined by experience and expertise. Excellent benefits package is offered to all employees.